Addressing systemic barriers to racial equity. 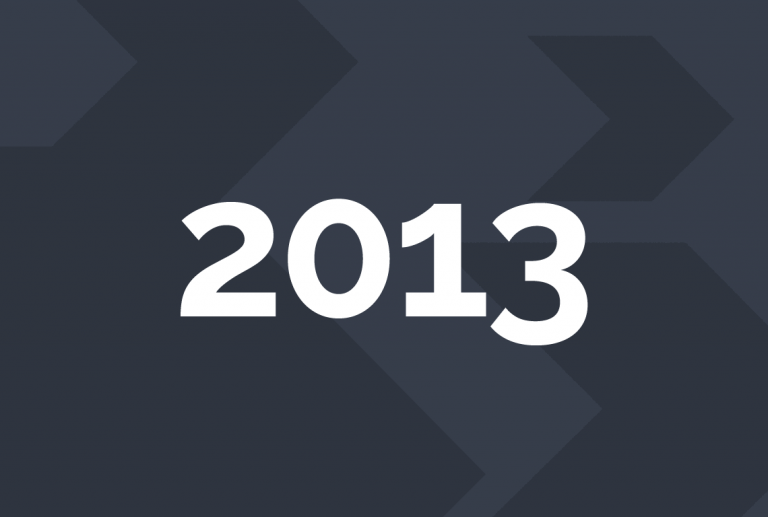 Amplifying community voice. Building stronger systems. These actions are the cornerstone of our work. 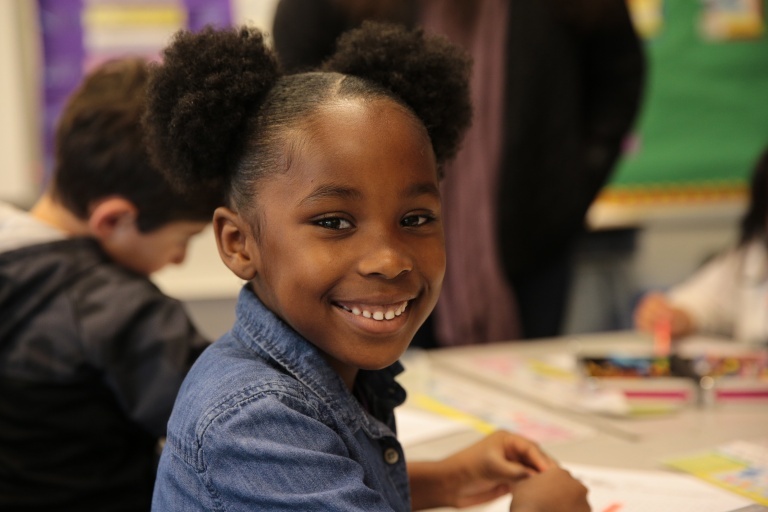 The Road Map Project is a collective impact initiative to boost student success from early learning to college and career in seven King County, Washington school districts: Auburn, Federal Way, Highline, Kent, Renton, (South) Seattle, and Tukwila. Together, this region is home to more than 127,000 K-12 students. 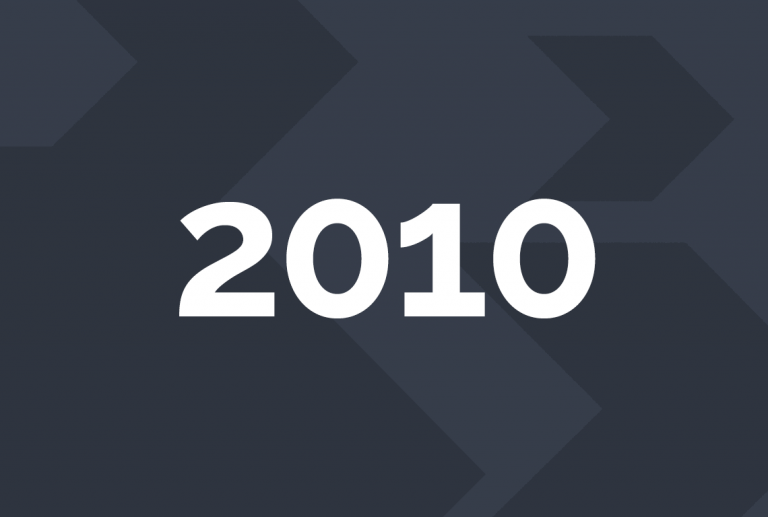 Learn more about why we do this this work, how we work together, and read our Theory of Change. 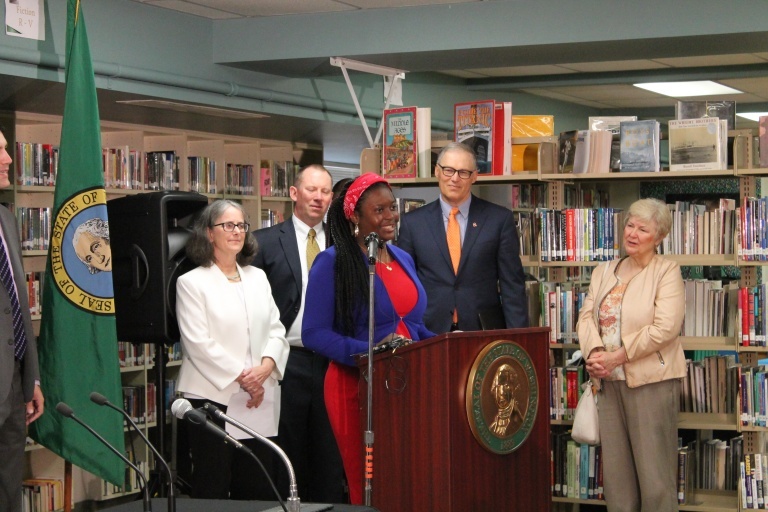 We want every child and youth in South King County and South Seattle, particularly those who are low-income or of color, to thrive in their education, communities and life. The Road Map Project core values guide our approach to the work and help us hold ourselves accountable to children, youth and families. We believe in greater access to opportunities, power and, resources so that every child can reach their full potential, with a focus on populations that have historically been furthest from opportunity. We believe in providing every child and youth access to the experiences, resources, and support that allow them to flourish. We believe in creating environments that are welcoming and respectful to every child and youth, and reflect the changing demographics of our region. 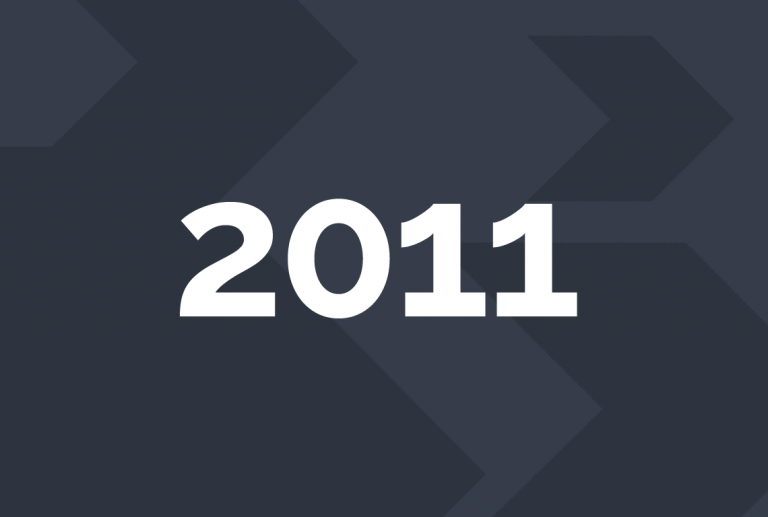 We believe in the wisdom and common ground gained through shared experience. We seek out the perspectives and voices of the many communities in our region so community aspirations guide the work. We believe in moving society and systems toward fairness, compassion, and greater respect for human dignity. We address the root causes of educational inequities not just manifestations by dismantling individual, structural, and institutionalized racism. We believe that by working together, greater outcomes will be achieved than what is possible when individuals, organizations, or systems work alone. Building community trust and strong relationships, and valuing a diversity of perspectives are central to this work. We believe that in collective impact work, assuming responsibility for the results and impacts of our action or inaction is critical in order to change system performance for the benefit of children and youth. We believe in being open and honest about how, why and by whom decisions are made, including decisions involving policies and resources. 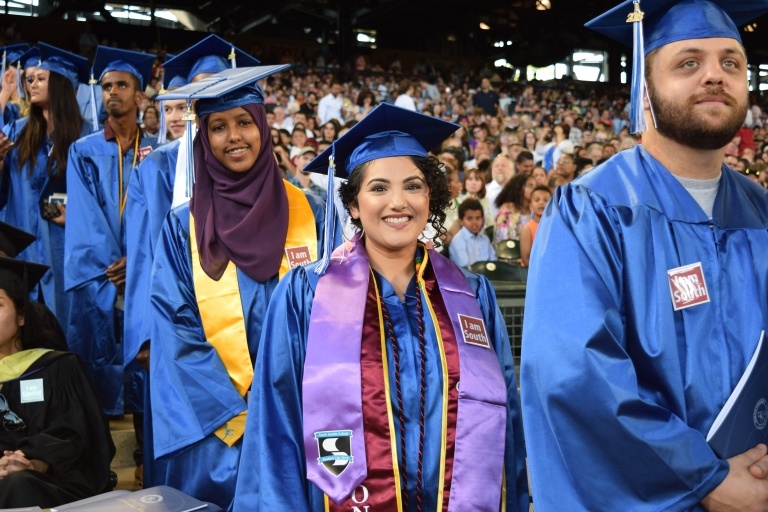 By 2030, we will eliminate the opportunity and achievement gaps impacting students of color and low-income children in South King County and South Seattle, and 70 percent of the region’s youth will earn a college degree or career credential. Suspensions and expulsions in our region have declined since 2010, but students of color are still more likely to receive such disciplinary actions. This brief points to data coding alignment as a barrier to helping us understand what’s happening in schools. 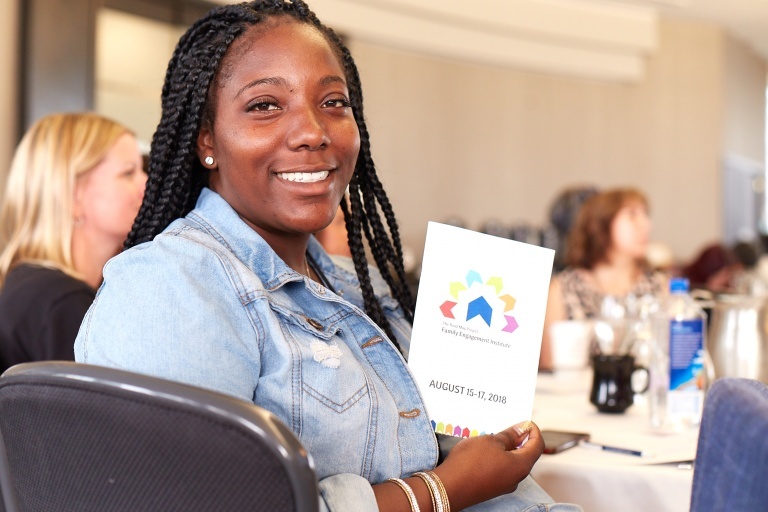 The 2018 Road Map Project Family Engagement Institute was a powerful opportunity for parent leaders, school and district teams, and community partners to connect and build stronger family engagement practices across the Road Map Project region. 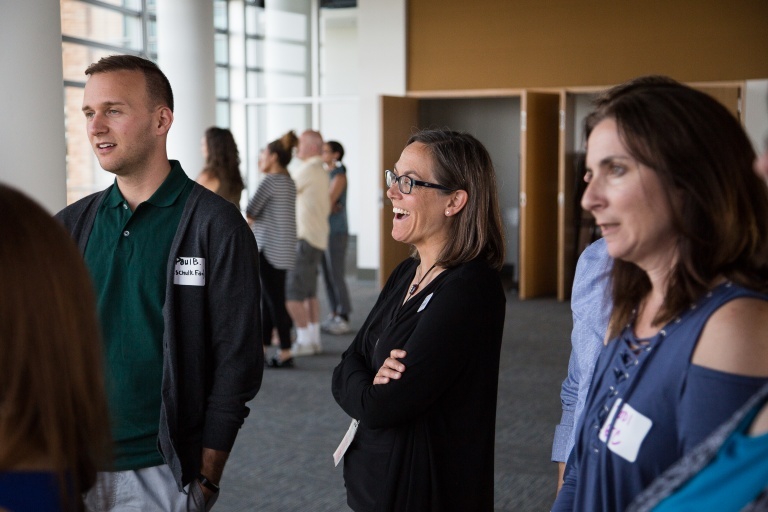 Youth Development Executives of King County organized the Social and Emotional Learning Symposium for Road Map Project region practitioners and system leaders. YDEKC also released a landscape scan that shows what systems and structures are in place to support whole child outcomes in each of the Road Map Project school districts. 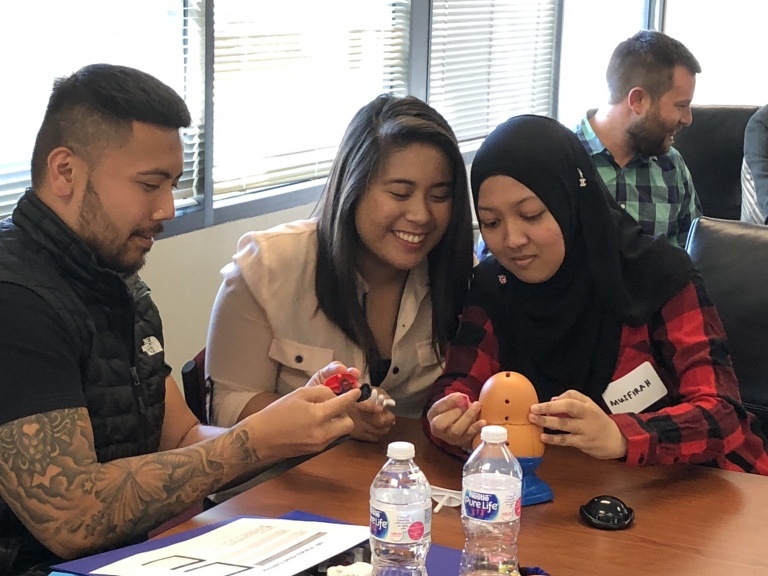 The Open Doors Improvement Network supports teams that include reengagement program staff, educators, and students to strengthen capacity and improve outcomes for youth disconnected from school and work. The Community Leadership Team spent its first year together creating work plans, developing a shared purpose, and building relationships. 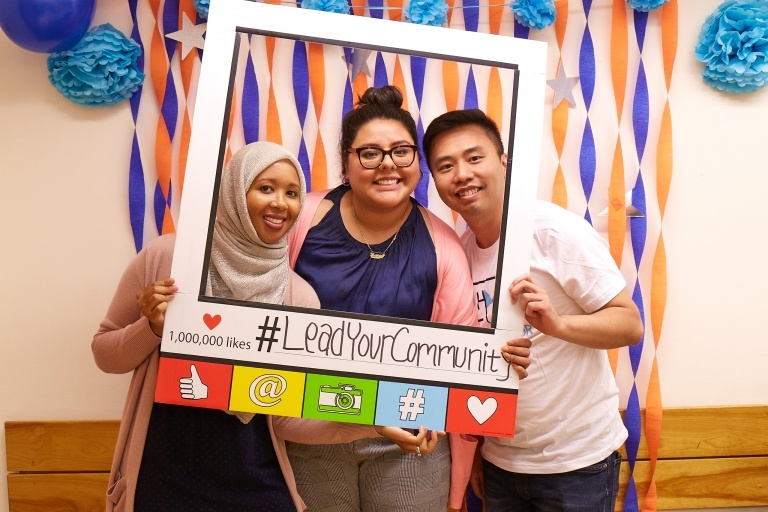 The team hosted a community celebration at the end of DiscoverU week to create access and raise awareness around college and career pathways for our youth of color. 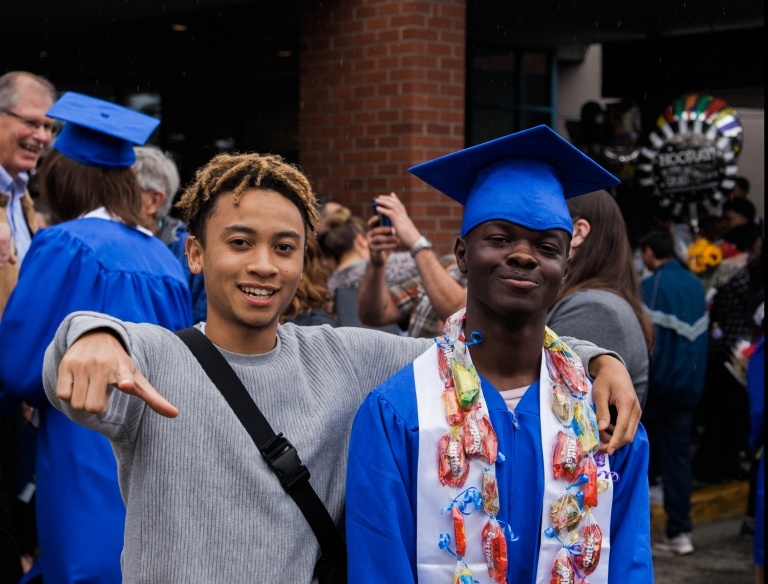 The Puget Sound Coalition for College & Career Readiness has been working on a proposal for a King County Promise program, which would help historically underserved students access and succeed in college. 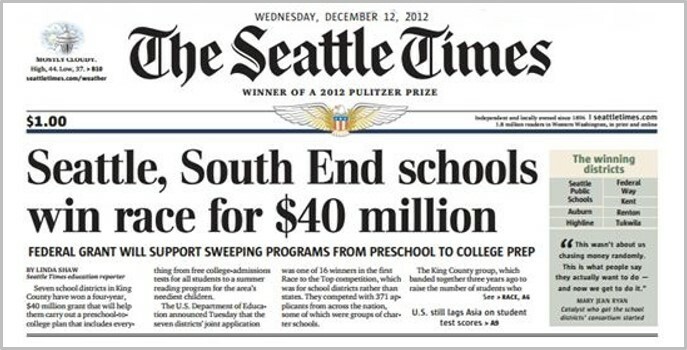 Coalition members were also involved in the expansion of the Seattle Promise program. 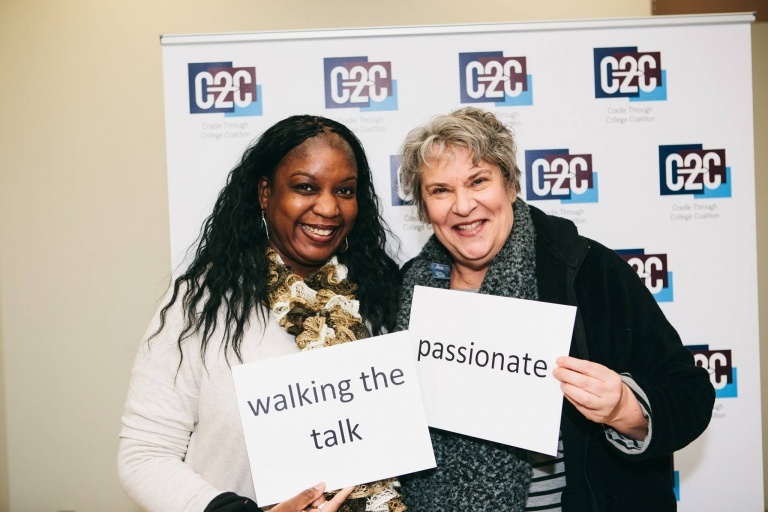 Read what two members have to say about the importance of community and technical colleges in light of the new To and Through report. 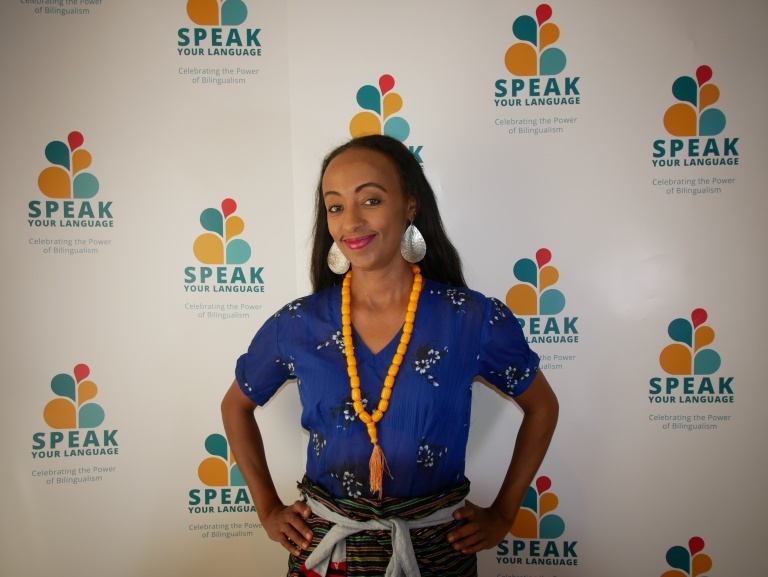 Community language organizers are part of the Speak Your Language campaign’s work to expand the positive message and availability of dual language learning and bilingualism in South King County. The community leaders are developing their own base of leaders in their schools and school districts. 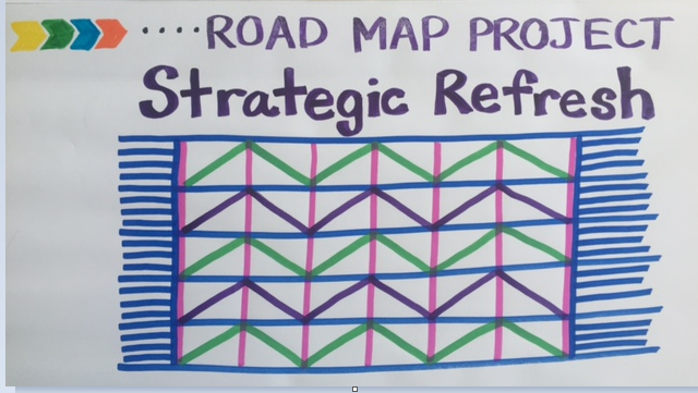 Out of the “refresh” discussions, the Road Map Project moves forward with new ways of working, including the formation of a Community Leadership Team; the development of System-Wide Racial Equity Essentials; and updated vision, values, and goals. 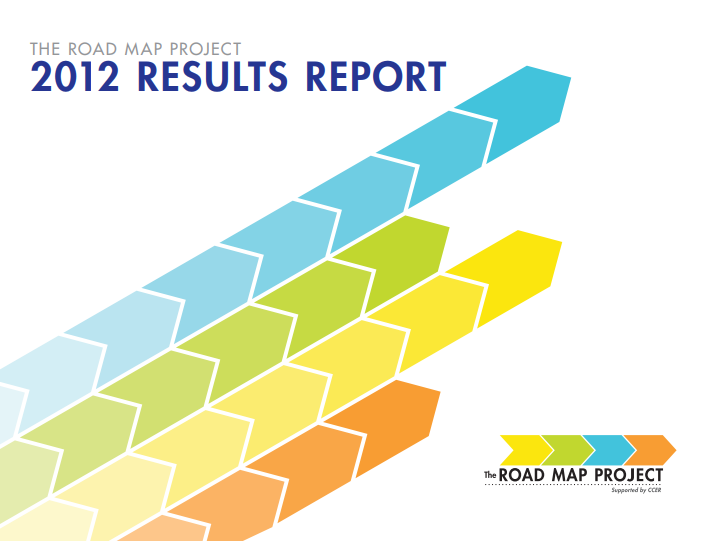 The Road Map Project announced new goals in the 2016 Results Report: By 2020, we will increase equitable policies and practices in our education systems so that by 2030, 70 percent of our students will earn a college degree or career credential and opportunity gaps by race and income will close. 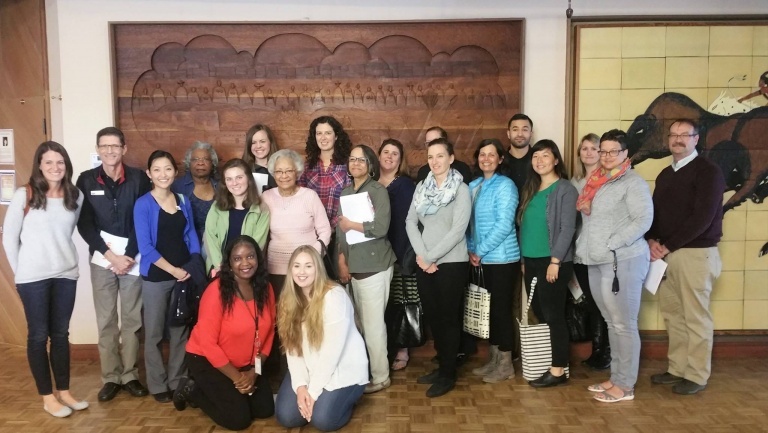 For years, Road Map Project partner OneAmerica, our English Language Learner Work Group, and other ELL advocates worked to push state lawmakers to pass state House Bill 1445. They succeeded in 2017. 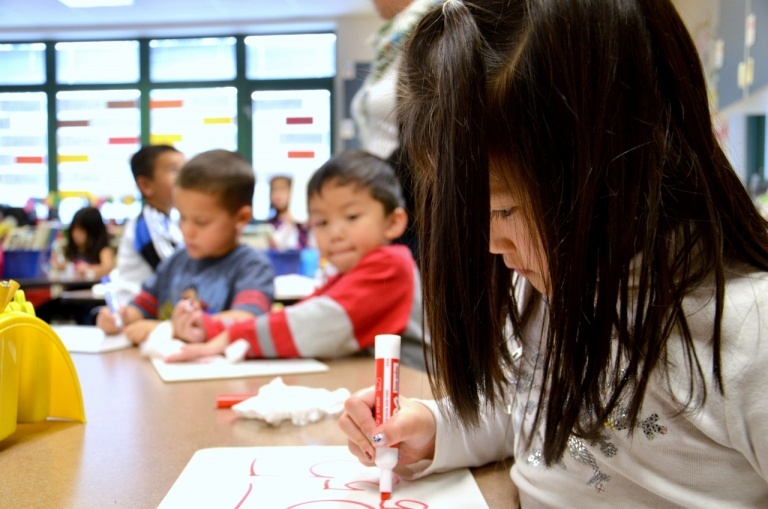 The bill expands funding and capacity for dual language programs in early learning through high school. 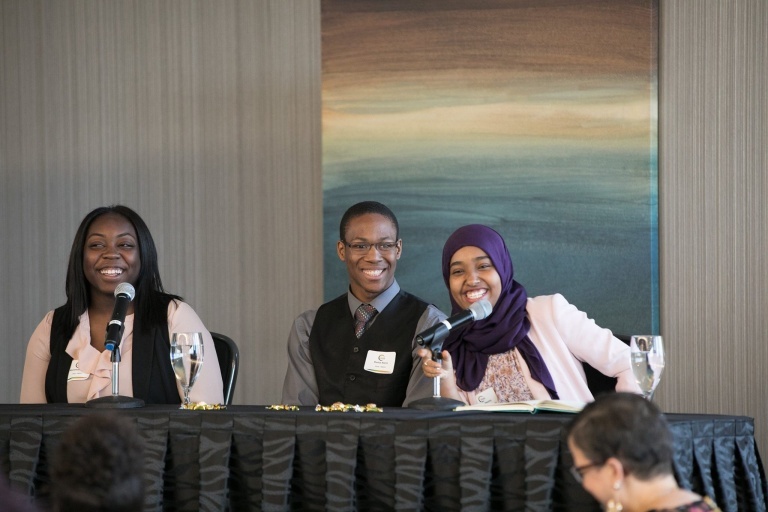 With few local spaces for those working with Black youth to connect, align, and collaborate, the Forum for Black Student Success was held to serve this purpose. 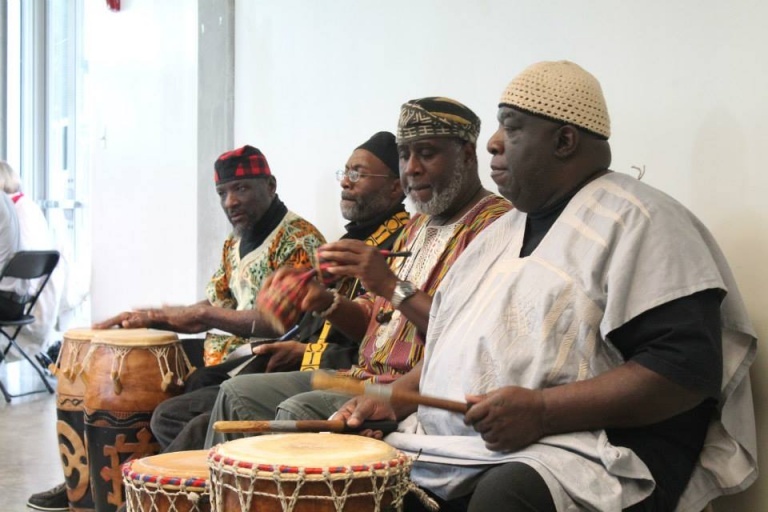 The program was designed by students, parents, and the Black Student Success advisors. More than 200 people attended. In its first year, the College & Career Leadership Institute worked with 12 high schools serving more than 16,000 Road Map Project region students. 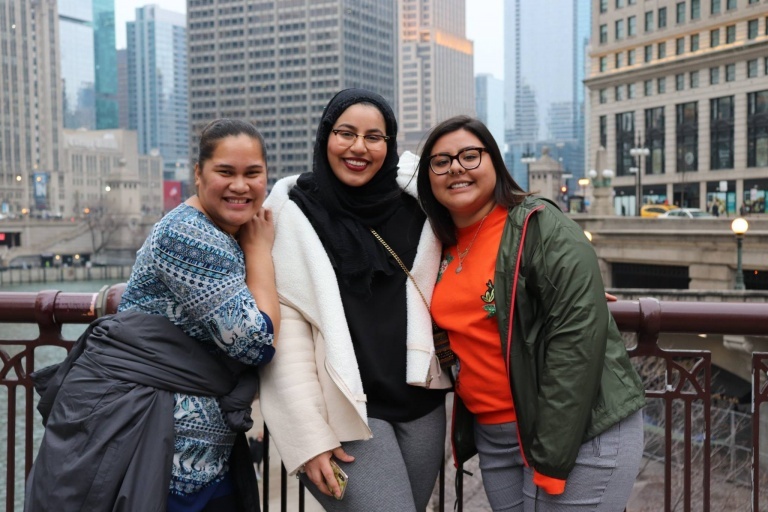 The institute collaborates with educators—including, teachers, guidance counselors, and administrators—to make system improvements so low-income students and youth of color are better supported to pursue their college and career plans. The first Community Leadership Team, comprised of 13 leaders who strive to improve educational and economic equity for local youth, is formed. The group provides visionary leadership and community accountability as the region works to achieve Road Map Project goals. 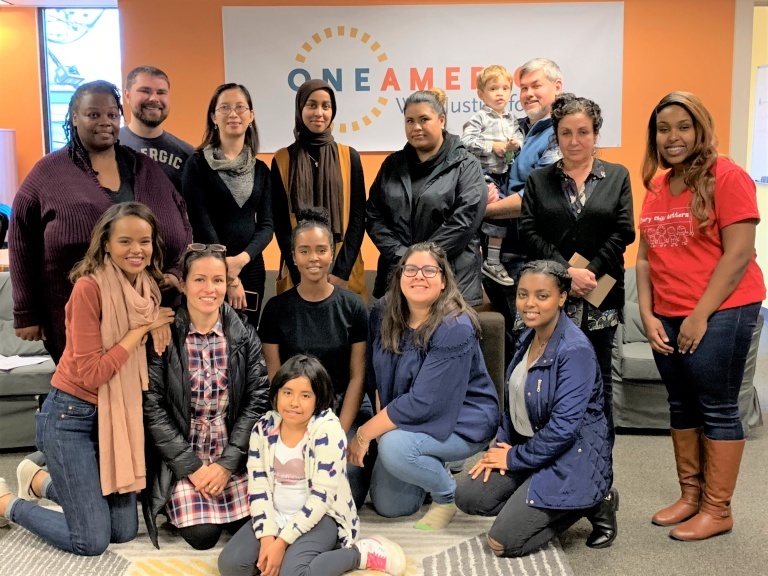 Formally known as the Home Language Campaign, the English Language Learner Work Group and Road Map Project partner OneAmerica refreshes the effort as Speak Your Language. Start With Us examines systemic issues that affect the educational experience of Black youth in South King County and South Seattle. Students share what they need from the education system serving them. 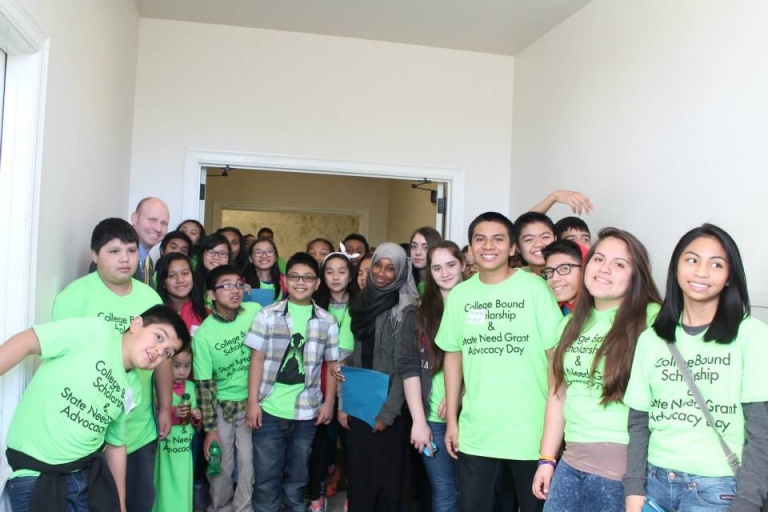 Opportunity youth have more options because of K-12 Open Doors program expansion. 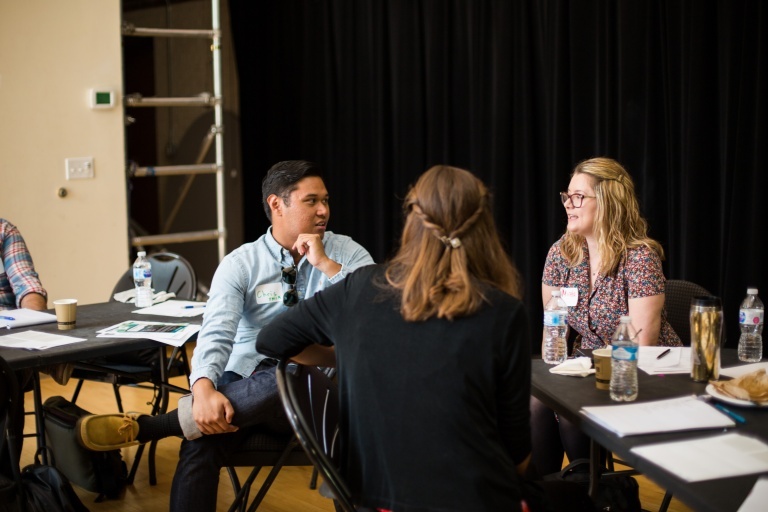 The King County Reengagement Provider Network has developed systems for shared outreach, common metrics, and professional learning. 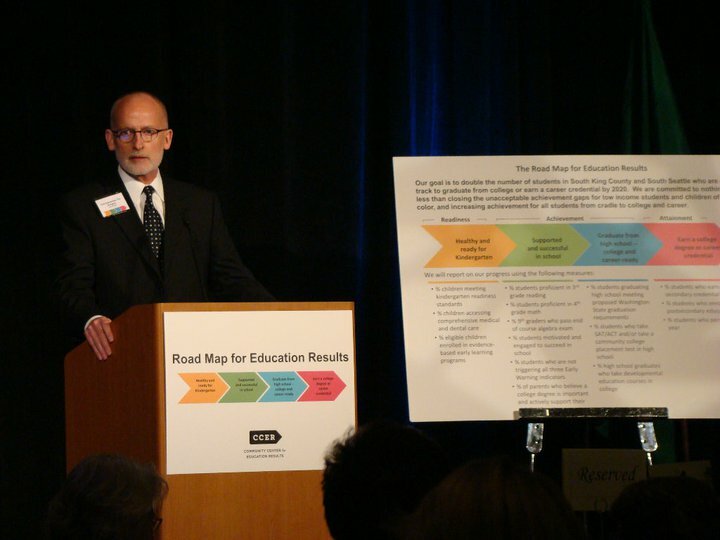 While the Road Map Project has made some progress to improve education outcomes, the partnership acknowledges the region is not on track to reach its 2020 goal of doubling the number of students who graduate from college or earn a career credential. Nor was it close to closing opportunity gaps for youth of color and low-income students. Project partnership begin strategic planning to determine the work moving forward. 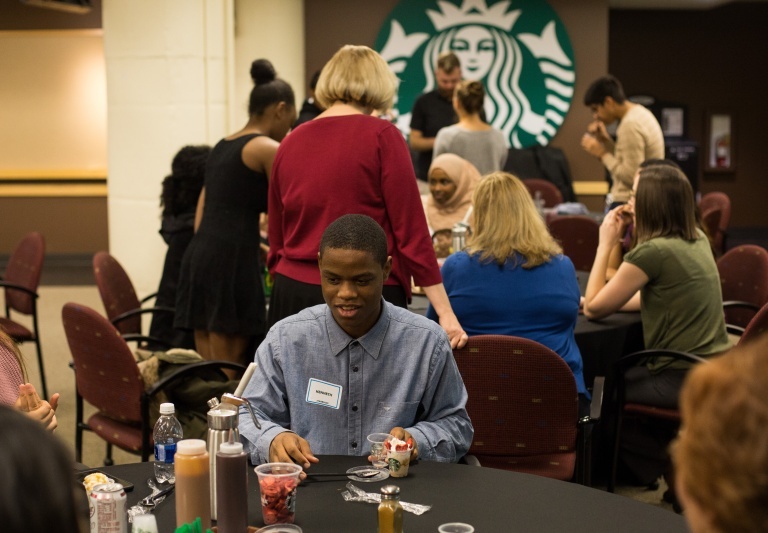 Also knowns as ReOpp, this outreach effort was developed by the Opportunity Youth Advisory Group with the King County Youth Advisory Council. ReOpp harnesses the power of peers to find, empower, and connect young people with education, employment, and postsecondary training opportunities. 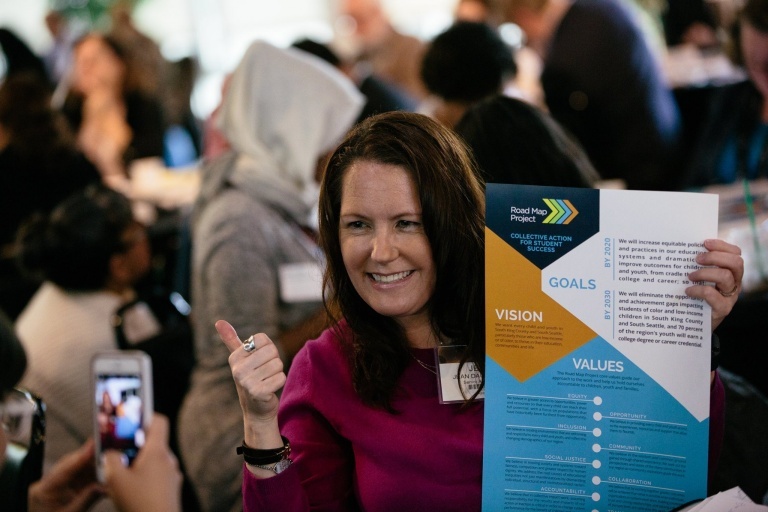 The Road Map Project and partner Puget Sound Educational Service District hosted a celebration for 30 successful education efforts in the South King County and South Seattle region. School district staff working on family engagement officially formed as a professional learning community to build the capacity of district staff to improve family engagement in schools. 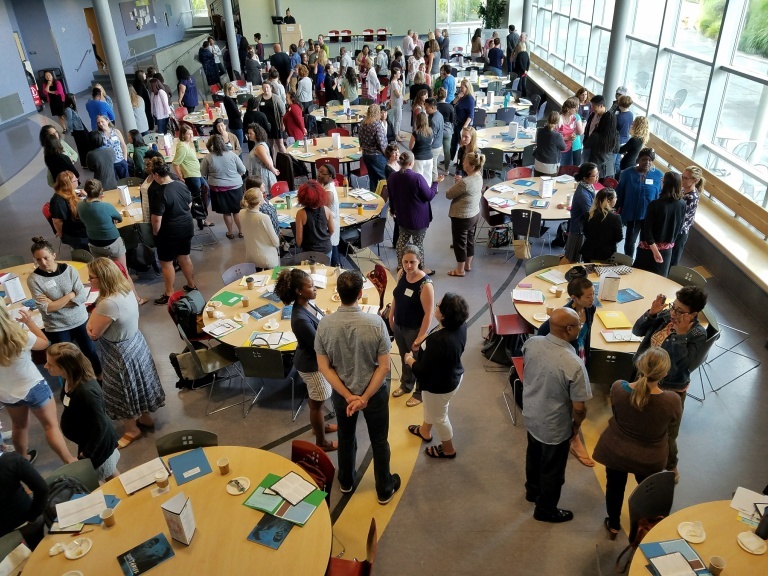 Inspired by Harvard programming, family engagement school district leaders and other Road Map Project partners held the region’s first-ever Family Engagement Institute for educators, parents, community leaders, funders, and school board members. 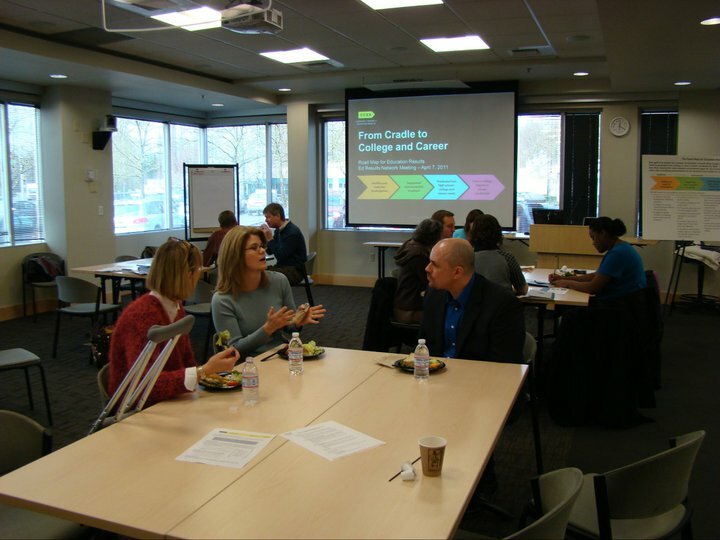 A new partnership with Challenge Seattle gives hundreds of students access to some of the region’s most well-known employers. 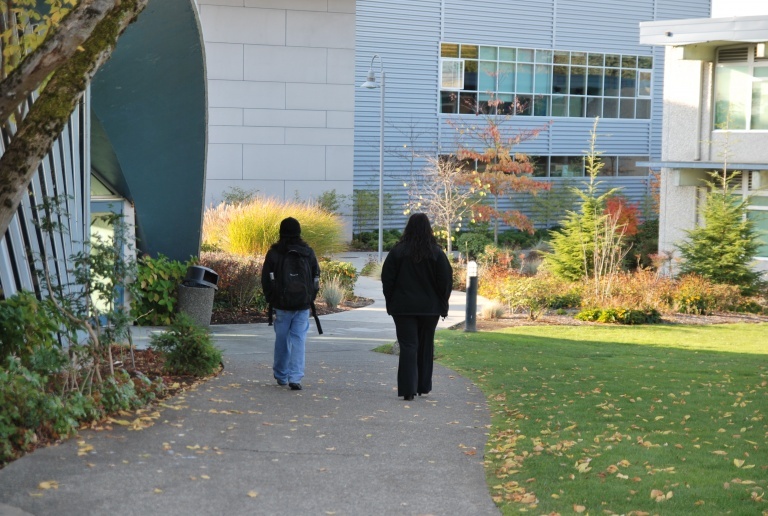 The Community Center for Education Results, the Washington State Board for Community and Technical Colleges, and postsecondary education partners publish a report looking at outcomes for the region’s youth who attend local community colleges. 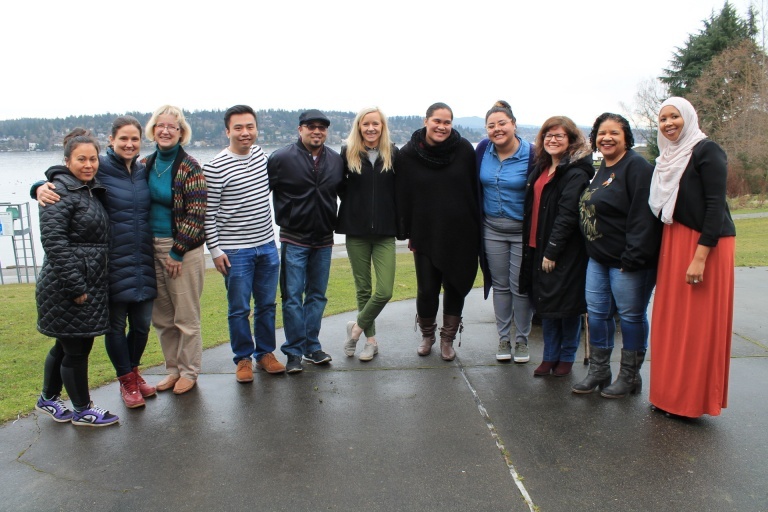 Youth Development Executives of King County hosts a first-of-its-kind symposium on social and emotional learning in the Road Map Project region. 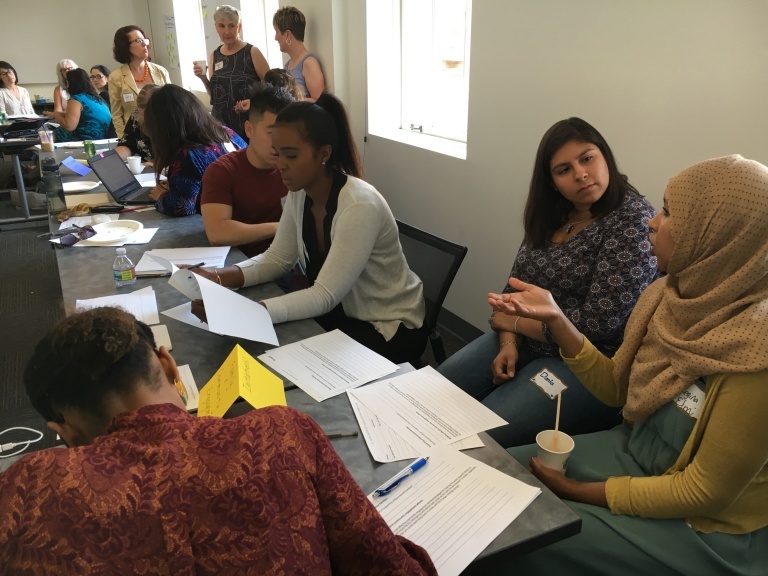 The Youth Development Organizations for Education Results Work Group reorganizes into two action teams: Social and Emotional Learning and Expanded Learning Opportunities. For the first time, all Road Map Project region school districts have on-time (four-year) high school graduation rates of 70 percent or more. About 60 Road Map Project region leaders attend Harvard University’s Family Engagement in Education: Creating Effective Home and School Partnerships for Student Success. 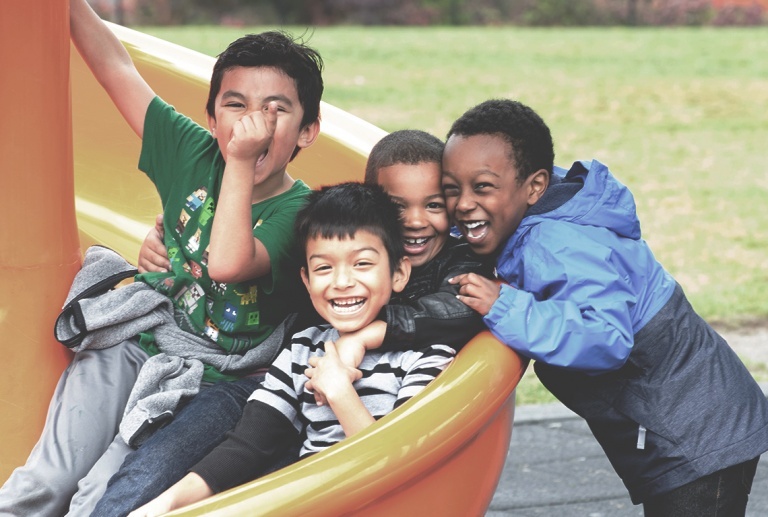 Best Starts for Kids, which ended up passing later in the year, is an initiative to improve the health and well-being of King County residents by investing in prevention and early intervention for children, youth, families and community. Leaders from early learning, K-12, postsecondary education, and youth and family services organizations band together to advocate for a cradle-through-college state investment strategy. This coalition is also known as C2C. 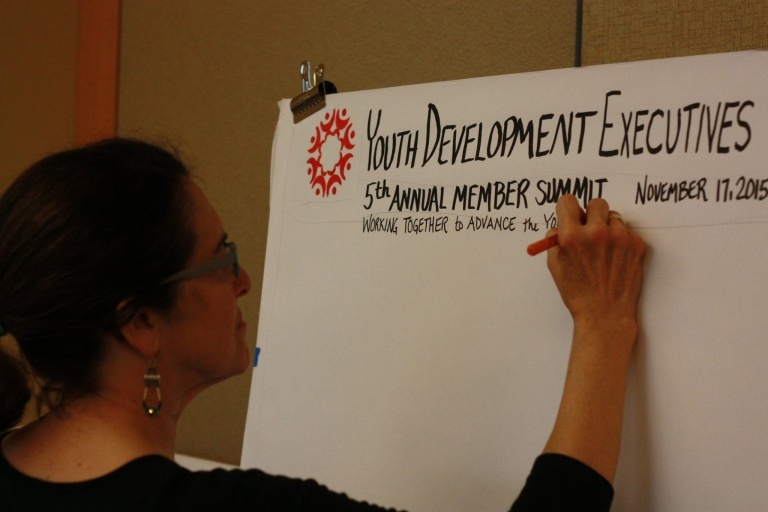 This repository by Youth Development Executives of King County offers research briefs, tip sheets, and other practical tools on topics related to cross-sector collaboration to support student success. The regional Data Dashboard launches and provides the self-service data on the school and district level, beyond what’s published in the Project’s annual Results Reports. 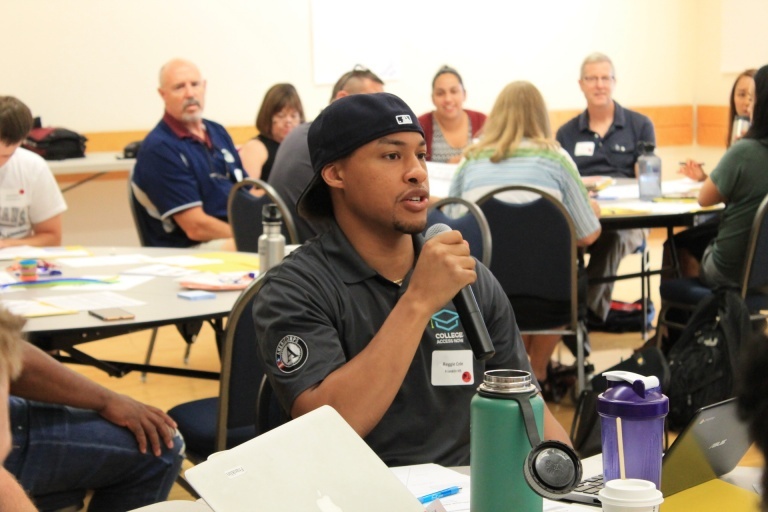 The network brings together reengagement providers on a monthly basis to coordinate efforts to help youth return to school or find employment opportunities. 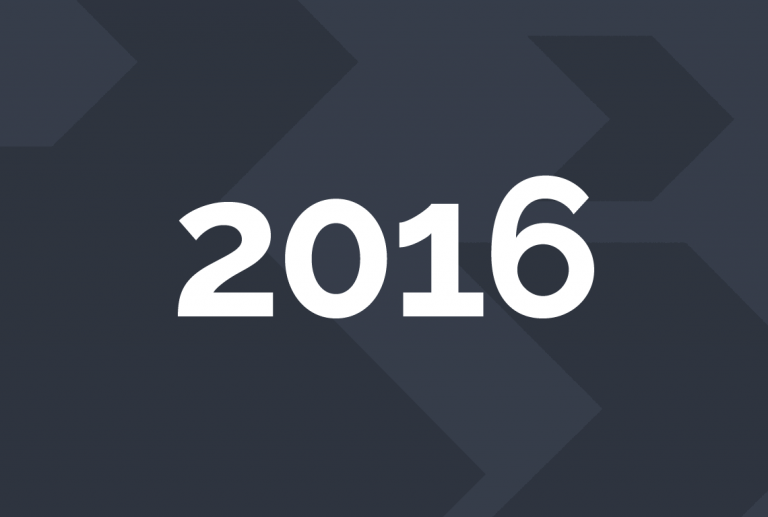 King County Employment and Education Resources joins in 2016 as official cosponsor of the network. 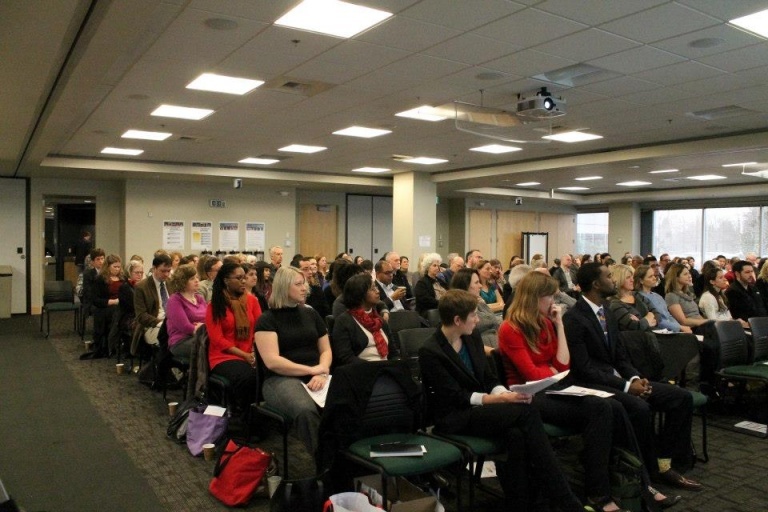 Road Map Project partners organized an advocacy day at the Washington State Capitol Building, calling for lawmakers to increase funding for the College Bound Scholarship and State Need Grant. This event was a building block for the eventual expansion of the State Need Grant in 2018. 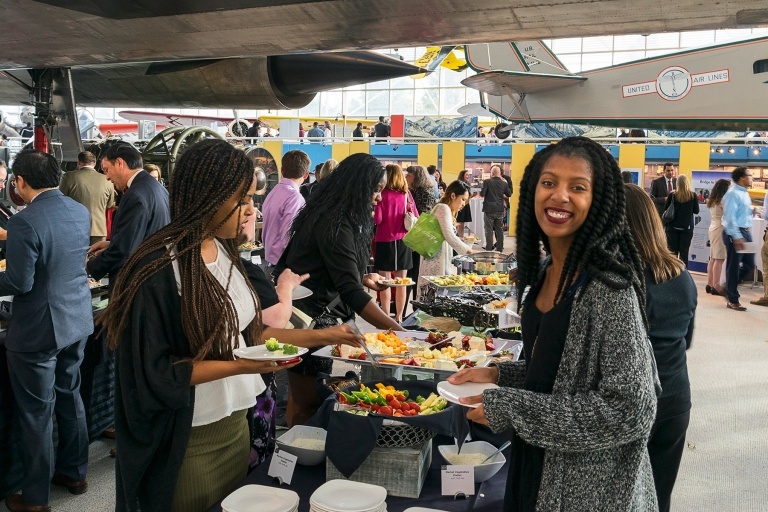 The ceremony at the Museum of Flight celebrates work in South Seattle and South King County to advance equity and close student opportunity gaps. Vroom, which offers resources and learning tips for parents and caregivers of children five and under, is first offered in South Seattle and South King County. The Community Center for Education Results develops an education data warehouse to aggregate information from multiple sources. 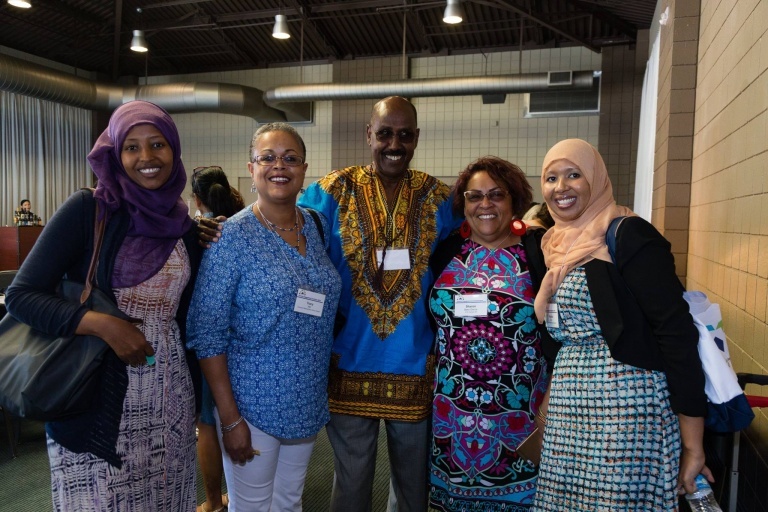 Road Map Project partners and Black-led organizations co-hosted a Juneteenth lunch, where more than 100 participants honored the holiday’s legacy and examined the current state of education for the region’s Black children. Members of the Aligned Funders group create a pooled resource to provide timely investments in regional work. 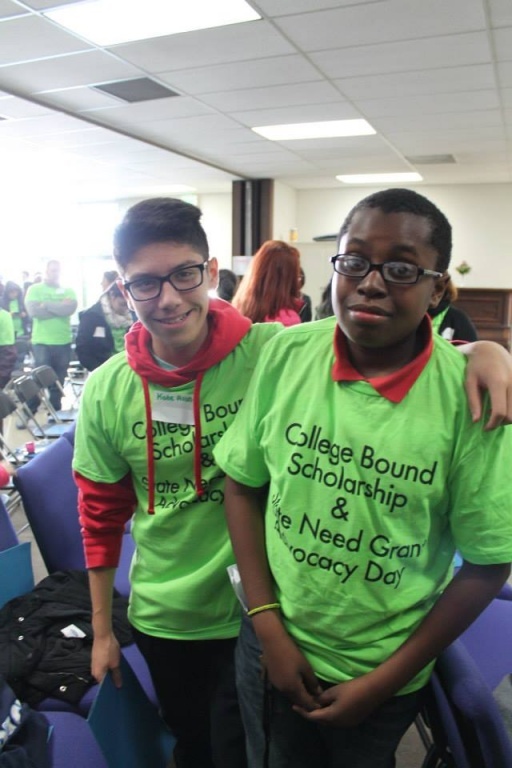 A record 96 percent of students from low-income families enroll in the state’s College Bound Scholarship. 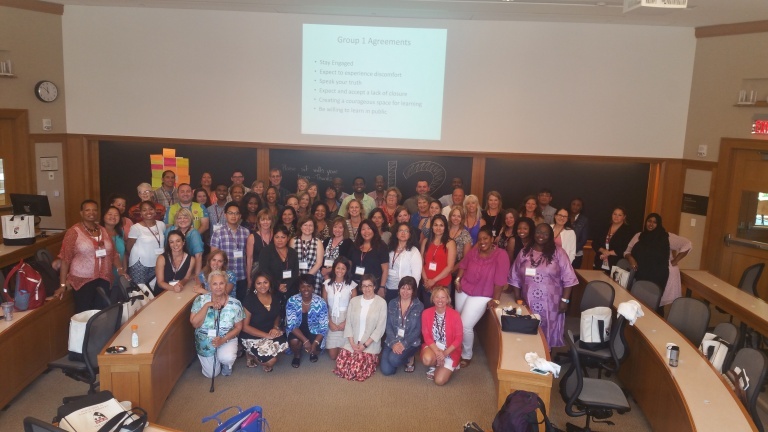 More than 40 Road Map Project region leaders attend Harvard University’s Family Engagement in Education: Creating Effective Home and School Partnerships for Student Success. 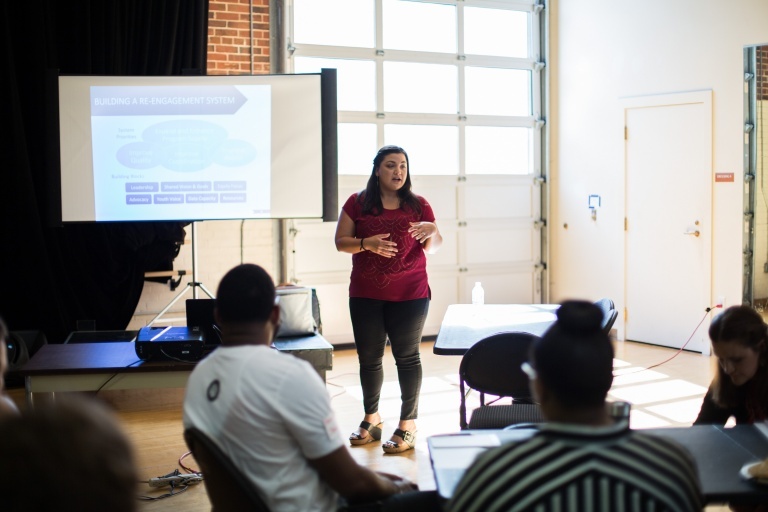 This multisector action team works to improve outcomes for 16- to 24-year-olds who have not completed a high school or college credential and are not employed. 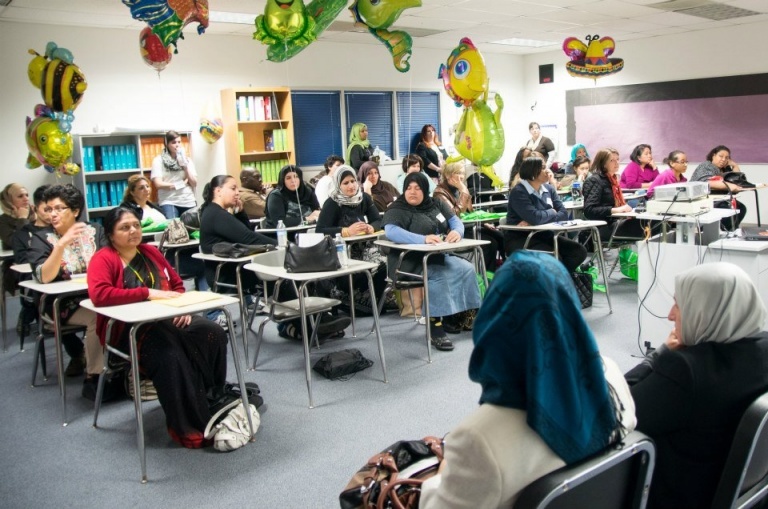 The English Language Learner Work Group played a key role in advocating for the Seal of Biliteracy Bill, which strengthens systematic support and positive recognition of bilingual students statewide. This network brings together reengagement providers on a monthly basis to coordinate efforts to help youth return to school or find employment opportunities. 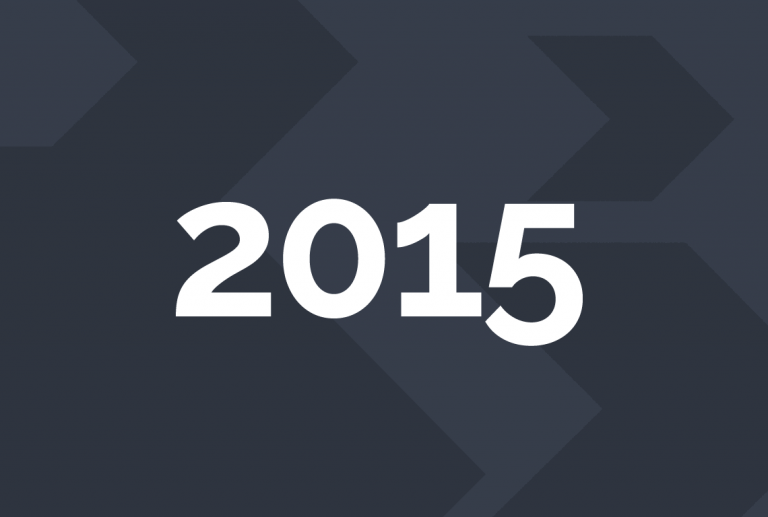 King County Employment and Education Resources joins in 2016 as official cosponsor of the network. Seattle Public Schools School Board and the Green River Community College Board of Trustees pass resolutions supporting the Road Map Project. 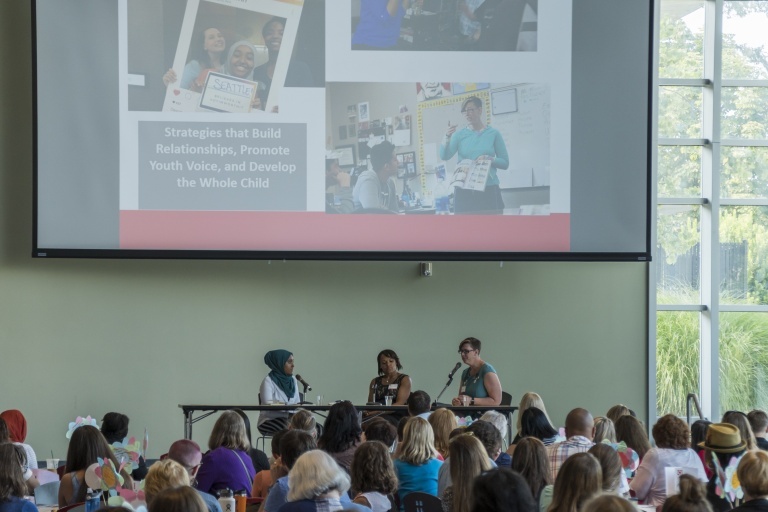 The Road Map Project Parent Forum draws more than 850 parents and community members to Tukwila’s Foster High School for a day of workshops, talks, and a resource fair. DiscoverU begins as a day of college and career exploration for our K-12 students. 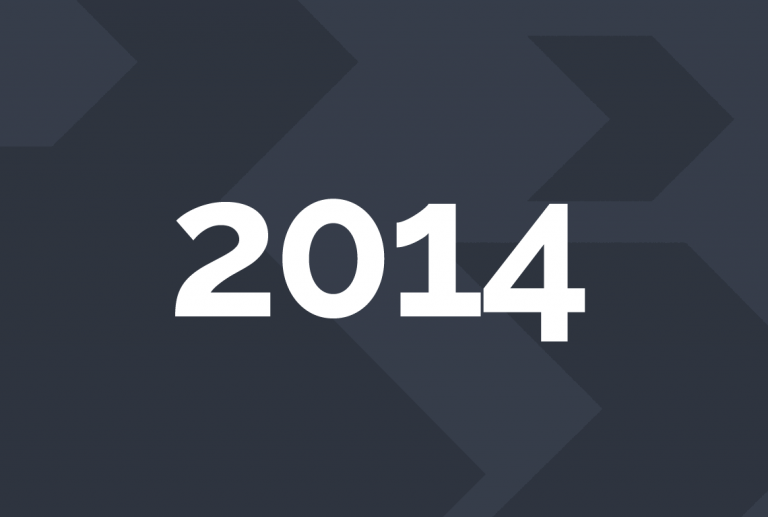 It’s now an annual weeklong event with participants all over the Puget Sound region. 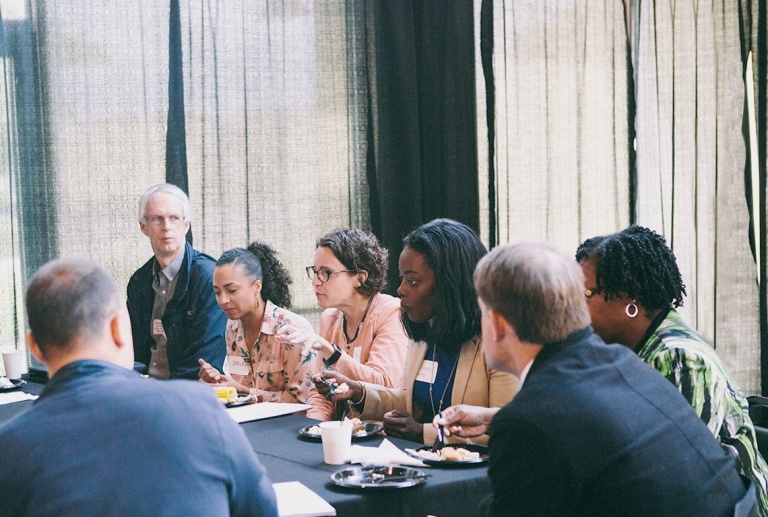 The Community Center for Education Results and other Road Map Project partners become part of a consortium of collective impact strategies to reengage young adults who are disconnected from school and work. 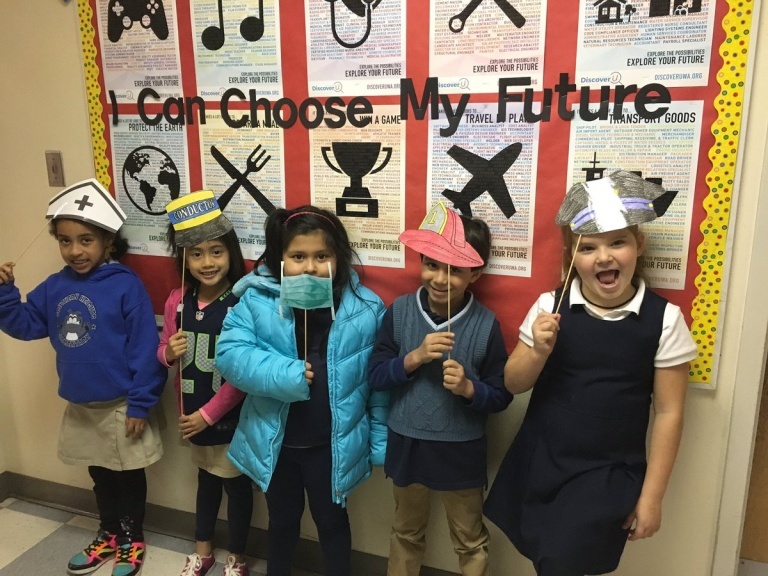 Seattle and seven South King County cities are named All-America Cities by the National Civic League and the Campaign for Grade-Level Reading for its ambitious plan to ensure more children are reading by third grade. The school boards of Auburn, Federal Way, Highline, Kent, Renton, and Tukwila pass resolutions in support of the Road Map Project. 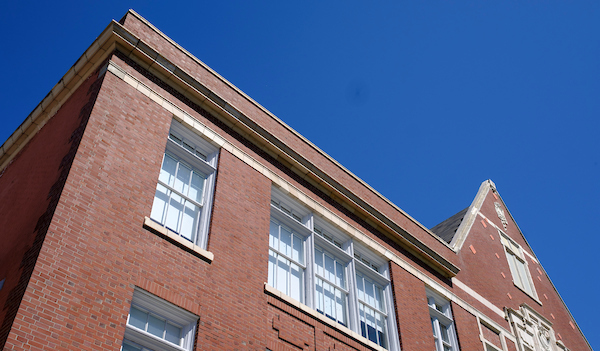 The Road Map Project’s seven school districts teamed up to apply for, and was granted, $40 million in federal Race to the Top funds. 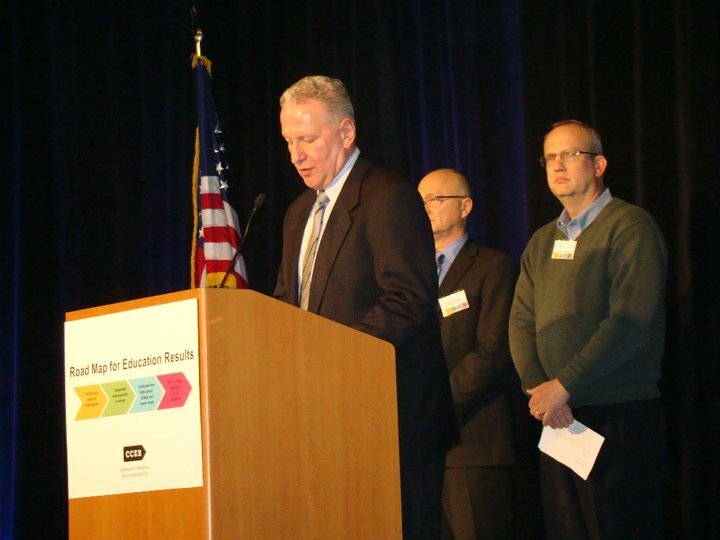 The Puget Sound Educational Service District becomes the fiscal agent and manager of the seven-district consortium. 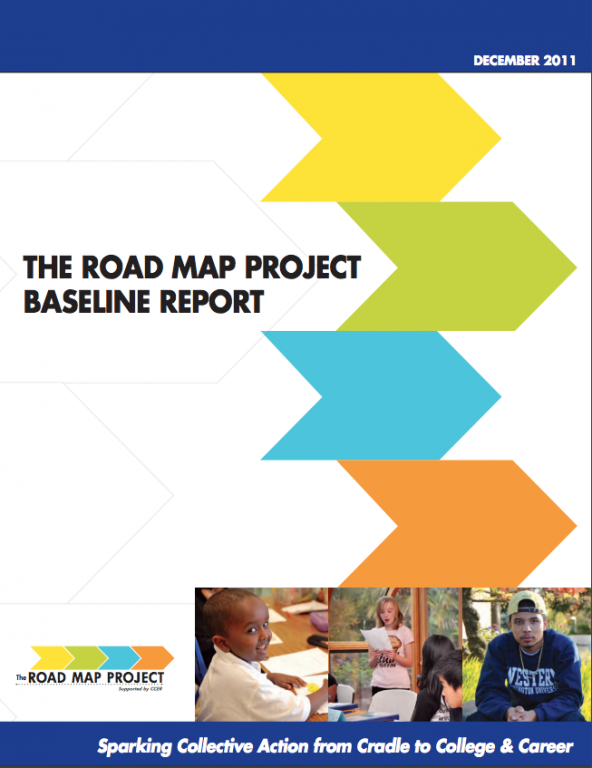 The Road Map Project released the first in a series of annual reports showing regional work and progress toward its goal. 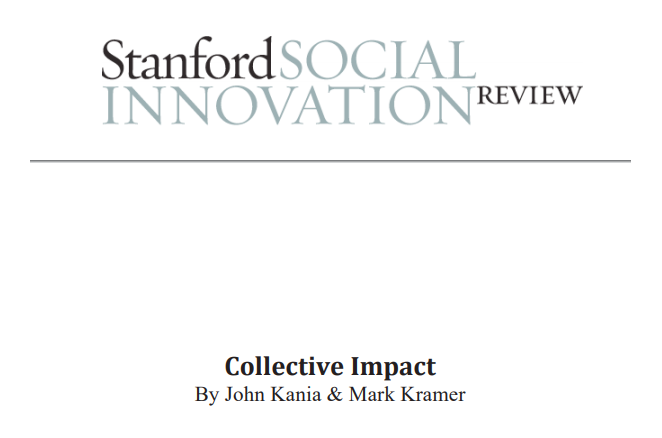 FSG writes about the concept “collective impact,” which first appears in the Stanford Social Innovation Review: “large-scale social change requires broad cross-sector collaboration.” The concept of collective impact is fundamental to the Road Map Project. The following groups begin to meet and develop action plans to advise the Road Map Project: Birth to Third Grade, High School to College Completion, Data Advisors, Youth Development Organizations for Education Results, and English Language Learners. The groups are staffed by partners Community Center for Education Results, OneAmerica and Youth Development Executives of King County. Other project-wide groups begin meeting, including the Project Sponsors, Aligned Funders and Community Network. 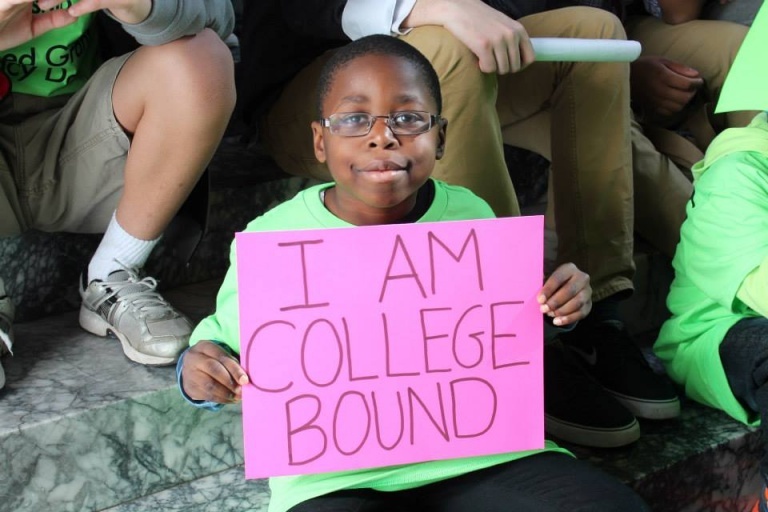 The Road Map Project leads a coordinated campaign with its seven school districts to boost participation in the College Bound Scholarship. A record 91 percent of eligible eighth graders signed up, compared with 74 percent the previous year. All seven school districts plus the Office of the Superintendent of Public Instruction enter a partnership to share data to help the Road Map Project track regional progress. 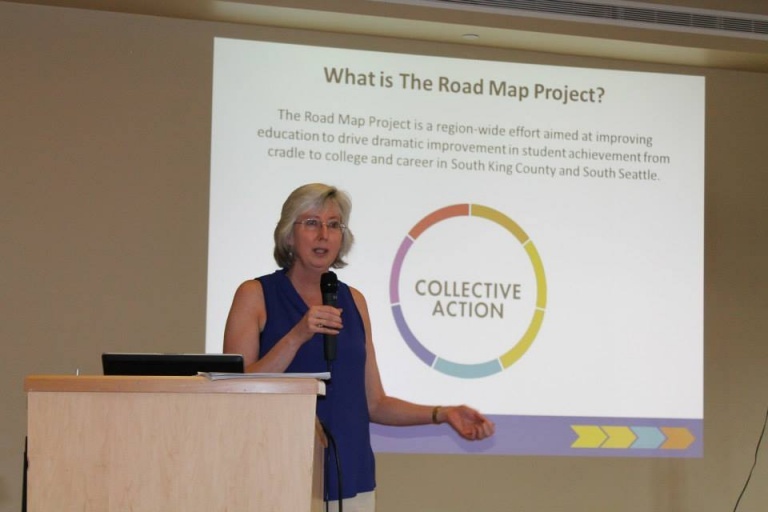 The Road Map Project Baseline Report shows only 24 percent of South Seattle and South King County high school graduates are earning a college degree or career credential. 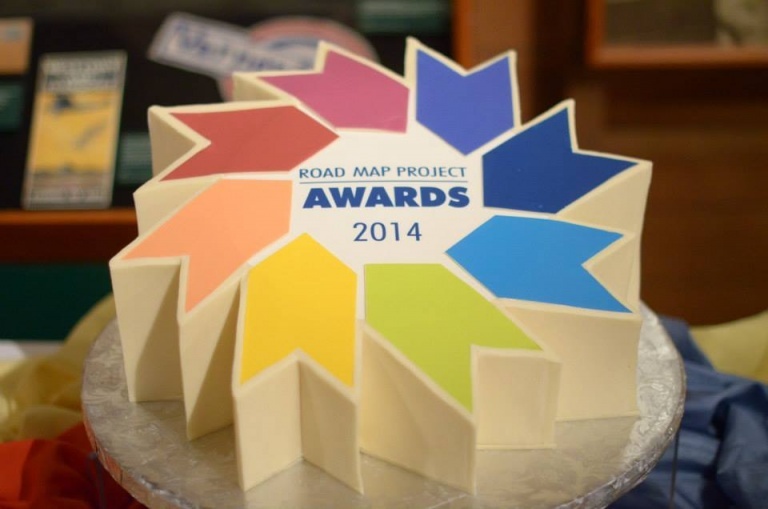 The Community Center for Education Results is founded to staff the Road Map Project initiative. 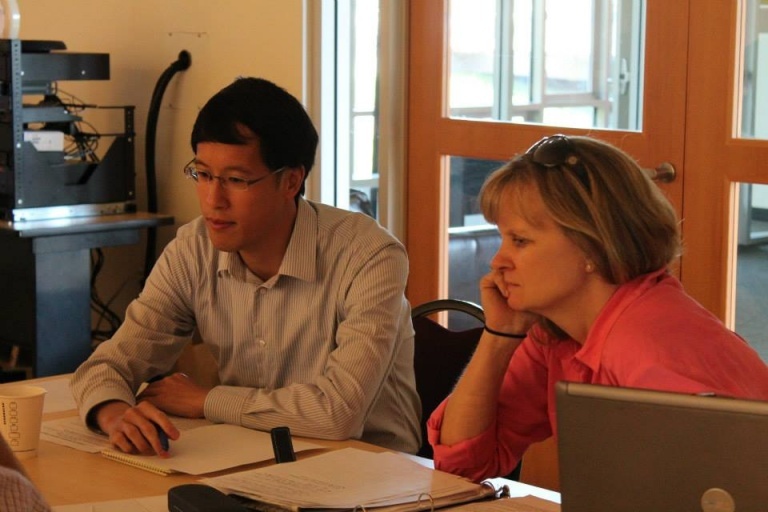 The Seattle Foundation supports the start-up phase acting as the organization’s fiscal sponsor and incubator. Mobilization and outreach begins. 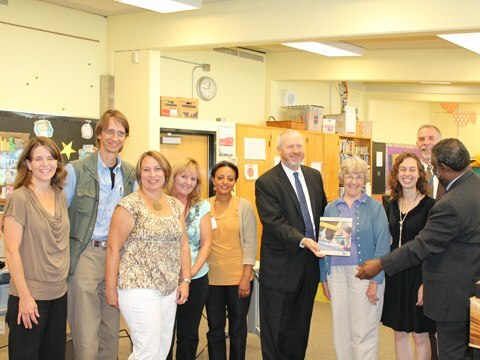 An early group of Road Map Project stakeholders, the Education Results Network (now Education Results Networking Meeting), met throughout 2010 to determine Project vision and goals. 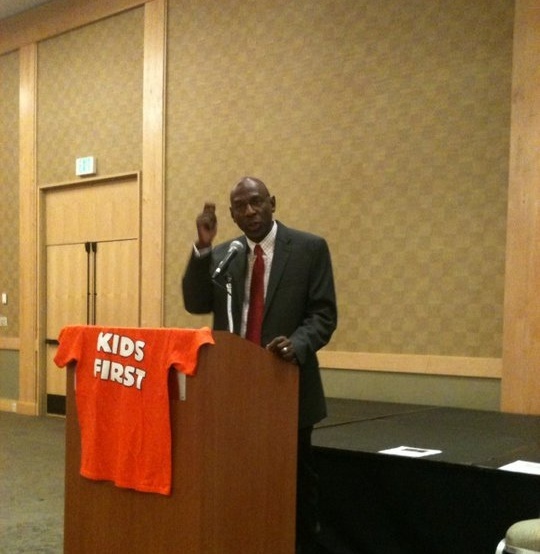 Harlem Children Zone’s Geoffrey Canada attended the November meeting as a keynote speaker. Action teams develop the Indicators of Student Success, a common set of measures to track how the region is progressing on a range of student outcomes. 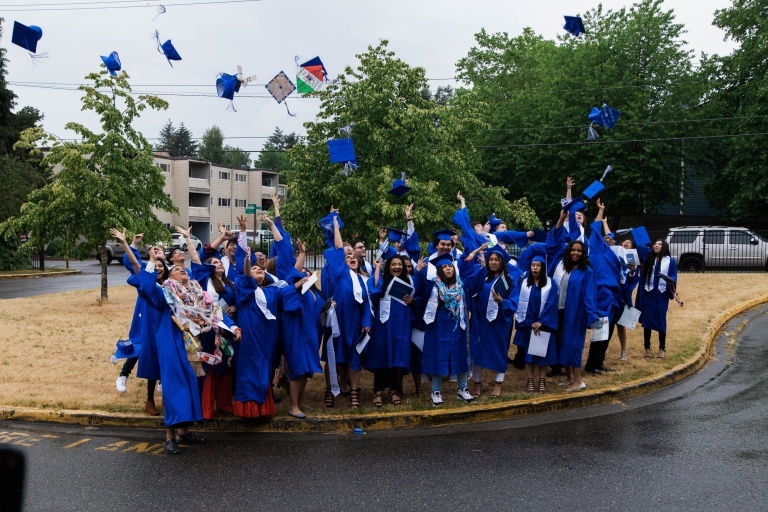 Road Map Project partners establish the original goal: Close achievement gaps and double the number of students in South Seattle and South King County who are on track to graduate from college or earn a career credential by 2020. More than 500 regional community and education leaders attend the Road Map Project kick off conference.